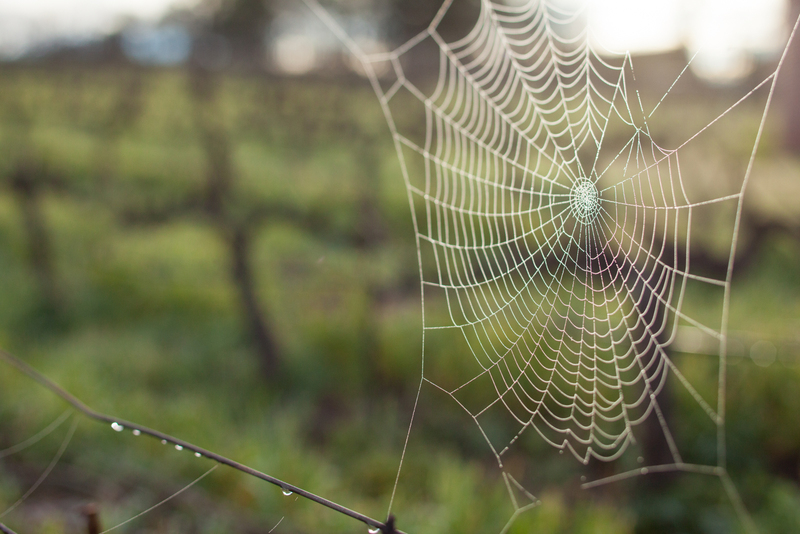 It would seem that most mornings in Napa Valley are beautiful, regardless of season. Driving up the St. Helena Highway early on the last day of January, a fine mist hung in the air, saturating the green and yellow colors of the vineyards’ ground cover. 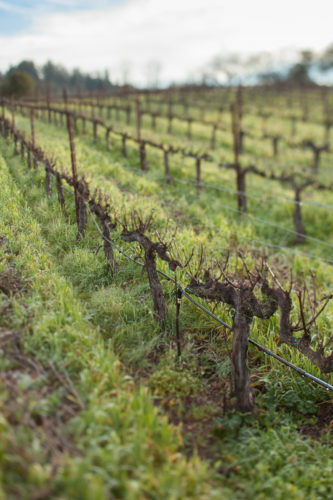 The vines — dormant and recharging for the next vintage — either cut stately figures or represented a tangled mess. It just depended on whether they had been pruned or not. The mist also seemed to accentuate the massive size of such estates as Krug, Markham and Trinchero. You never forget just how much money there is in Napa. Shortly after Trinchero, we turned and drove down Ehlers Lane to a beautiful stone barn with a winery out back. It looked, well, a little different. A little understated. 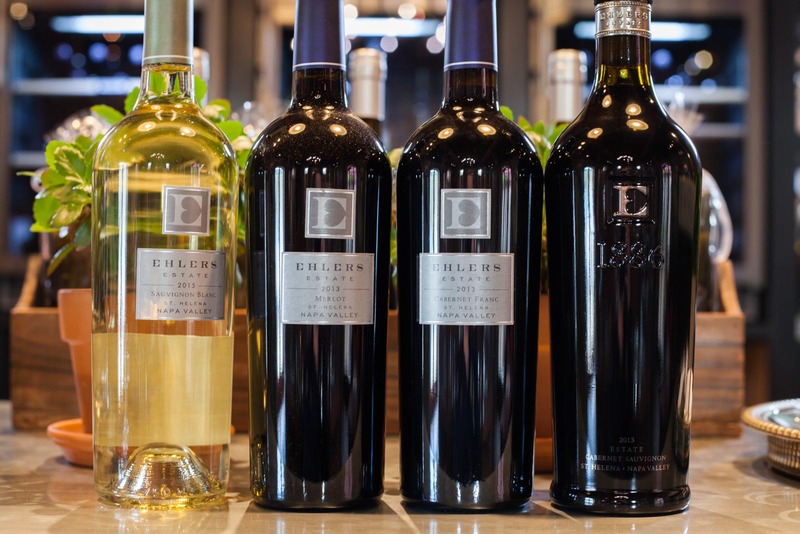 This is Ehlers Estate, producer of elegant Bordeaux-variety wines. And we were about to drink them: at 9am. “For the visitor, there’s not much to do in Napa this early in the morning,” Maria Newman told our group. 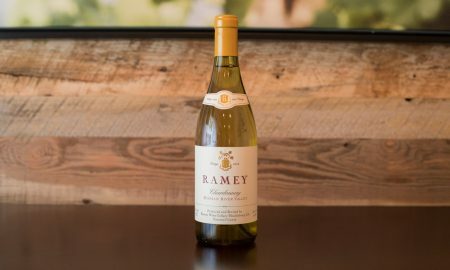 She works as the hospitality director, and — along with winemaker Kevin Morrisey and tasting room manager Kevin Jobe — she met us at the door to wake us up with a glass of racy Sauvignon Blanc and some of the best croissants I’ve ever had. 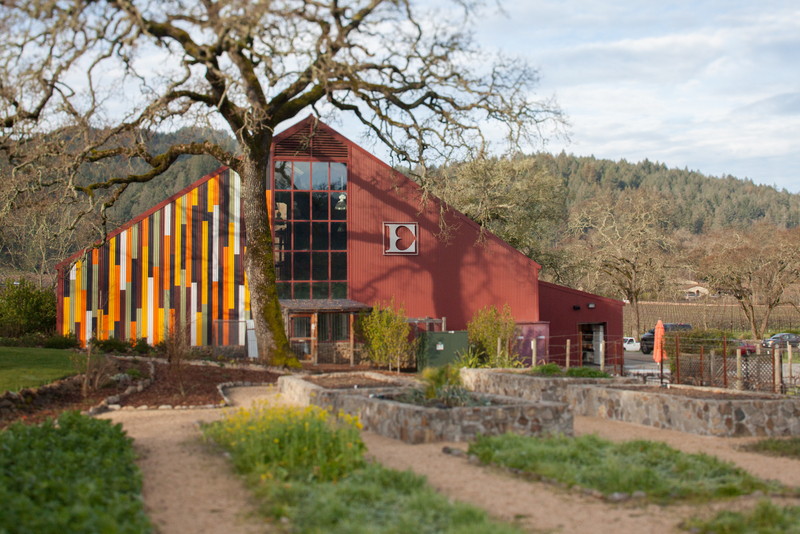 Unlike most wineries, Ehlers offers a private, early morning tour, which has several advantages. 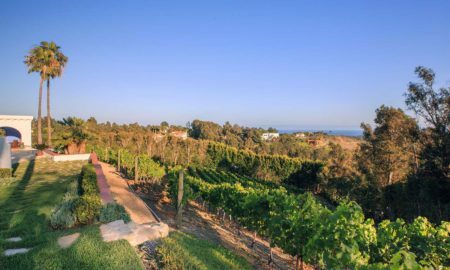 The vineyards are more beautiful in the morning light, there is a serene quality to the winery and its surroundings, and you can better focus on the details of the wine. It’s a far more intimate experience than just showing up and bellying up to the bar in the afternoon with everybody else. And if you just flew in from the East Coast — three hours jetlagged — you’ll appreciate the early start. Founded by Bernard Ehlers — a Sacramento grocer who made his fortune selling equipment to miners during the 1849 gold rush — the estate is anchored by that beautiful stone barn which was erect in 1886. Growing up, I used to help my father “rockscape” a cactus garden in our yard. We’d roll each rock around in our hands, trying to figure out its best configuration to make walls and catacombs for his prickly pears. So whenever I see masterful masonry, I think of that garden. How the Ehlers barn has withstood 131 years of NoCal tremors, I’m not sure. Inside the barn is a cozy tasting room, filled with colorful local art and plush sofas. But we didn’t linger long. With croissant shrapnel on our jackets, we walked through the back into the winery. 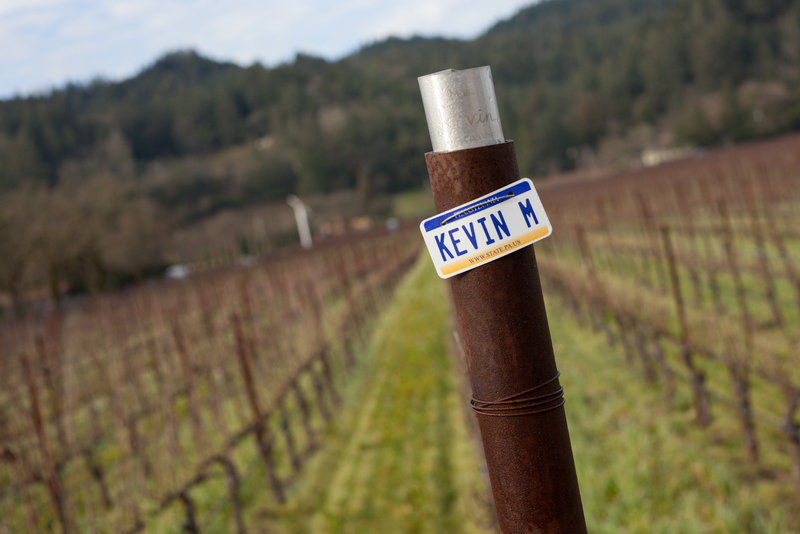 Kevin was soon pouring glasses of ice cold rosé of Cabernet Franc from a stainless steel vat. 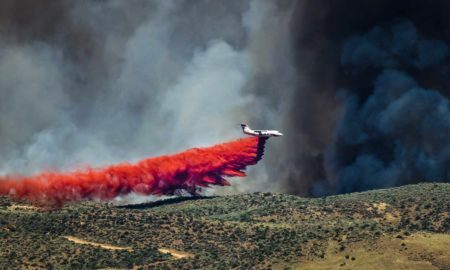 “This is the Sylviane Rosé,” he introduced as the thief released a liquid that could only be described as electric bubblegum in color. It tasted sweet and exuberant, with a perfect cut of acidity and hints of watermelon throughout, making it one of the most exciting sips of rosé I’ve had in a long while. This was going somewhere. 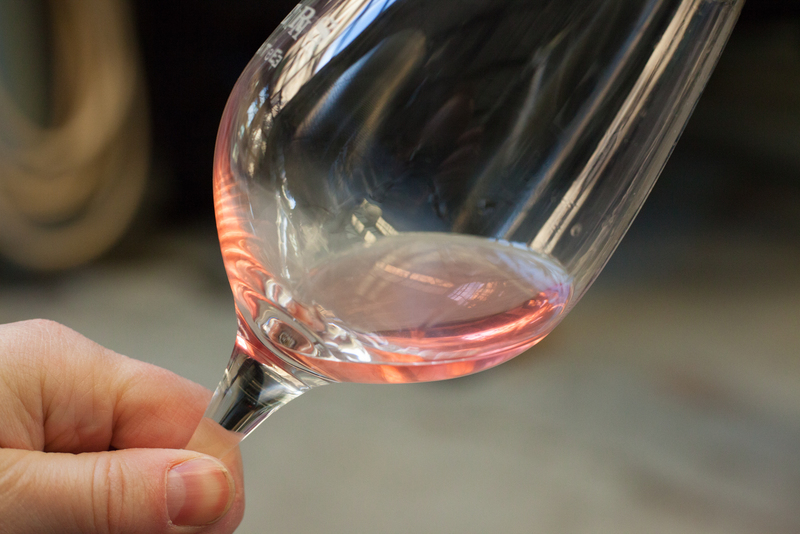 The rosé takes its name from one of the two founders of Ehlers Estate, Sylvaine Leducq. She and her husband, Jean, became childhood sweethearts in France during World War II. After they married, Jean took over the family’s linen business in Rouen and they established several contracts with the U.S. Armed Forces, cleaning roughly 50 tons of laundry per week. 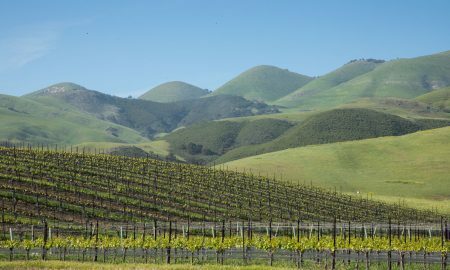 Their success in business — along with their shared passion for fine wine — gave them the means to eventually explore winemaking in the 1990s. 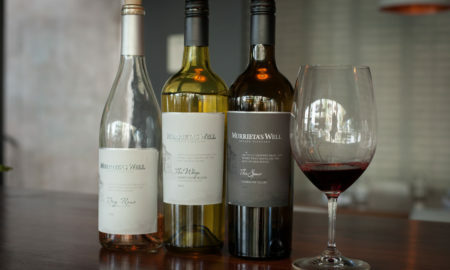 But rather than looking to Bordeaux, they purchased the old Ehlers Estate in St. Helena, finding ways to also purchase the contiguous vineyard plots that surrounded it — a rarity in the valley. 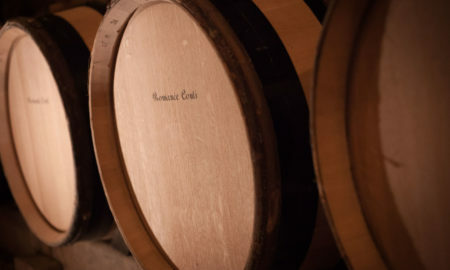 They brought in renowned eonologist Jacques Boissenot, and established an ethos and style of winemaking that is decidedly more French than American. 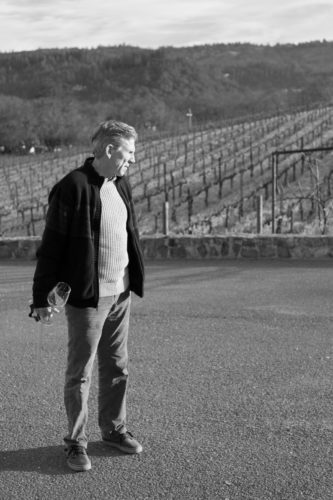 At the height of Napa’s craze for blow-the-roof-off Cabernet Sauvignon, the Leducq’s were willing to pull back the reins on their wines to try and reveal the estate’s terroir. They were also willing to put just as much effort into their clusters of Cabernet Franc, Merlot and Petit Verdot. In other words, they were practicing restraint long before it came back into fashion. In 2009, Sylvaine hired Morrissey (an American) to take over the winemaking duties. In a former life, he had been a cameraman in Hollywood. 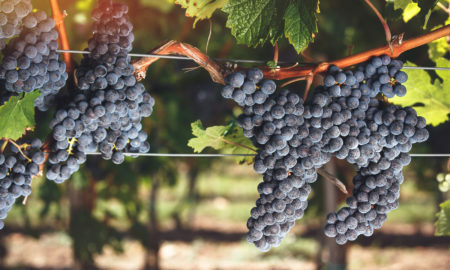 But at age 35, he was ready for a drastic change, so he enrolled at the University of California – Davis to study enology. Determined to make a splash from the start and return to France — where he had spent much of his childhood and early adulthood in film — Morrissey finagled a harvest internship at the legendary Château Pétrus in Pomerol. 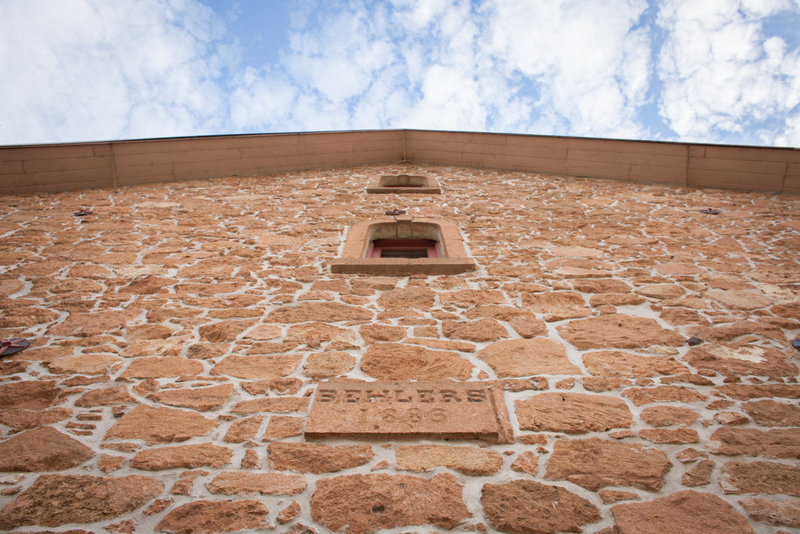 It was a formative experience that would ultimately make him the right person for the job at Ehlers Estate. Sylvaine wanted someone with an instinct for terroir and the patience to make wine in the estate’s style. What he splashed into my glass was strikingly pure. It smelled like nature in a glass: not just berries, but that sweet yet woody smell you find in a berry patch. And violets. It was like a pool of fresh air, and on the palate, it was remarkably high-toned for Cabernet Sauvignon. This was definitely going somewhere. Back in the tasting room, we settled in for more croissants and a proper tasting. 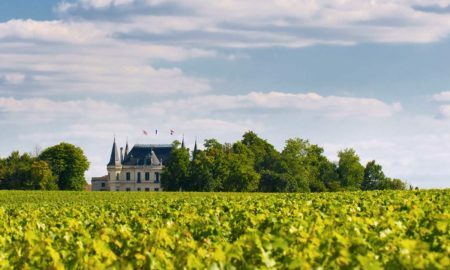 The common thread was subtlety over strength, and while Bordeaux had been mentioned a few times on our tour — as a reference point for the Leducq’s and a career-launching for Morrissey — I was more reminded of the Loire. Perhaps it was the Cabernet Franc bottling, a stellar drink of natural tones that walked a tightrope of assertiveness and restraint. And those hints of watermelon I found in the Cabernet Franc rosé? They also appeared in the grand vin bottling — known as 1886 — buried under luxurious waves of black fruit, light chocolate and oak. This last wine of the tasting — a blend of mostly Cabernet Sauvignon with Cabernet Franc, Merlot and Petite Verdot — was a real beauty. Already in my short time in Napa (this was only Day 3), I was noticing that the final wines were Goliaths. Big, robust, pay-attention-to-me Cabernet Sauvignon. But not this one. It was detailed, characterful and wildly aromatic. Every winemaker you meet these days will tell you they want to “let the terroir shine” in their wines. Sadly, it has become a throw-away line. Everybody means it, but not everybody seems to have a handle on it. 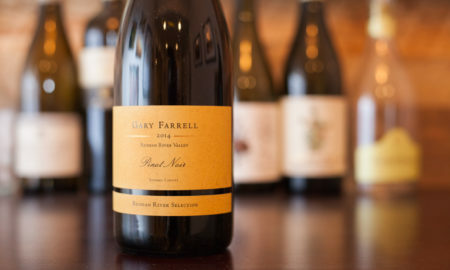 Which is what makes it so magical when you find a wine that, potentially, could be the full expression of a certain place. 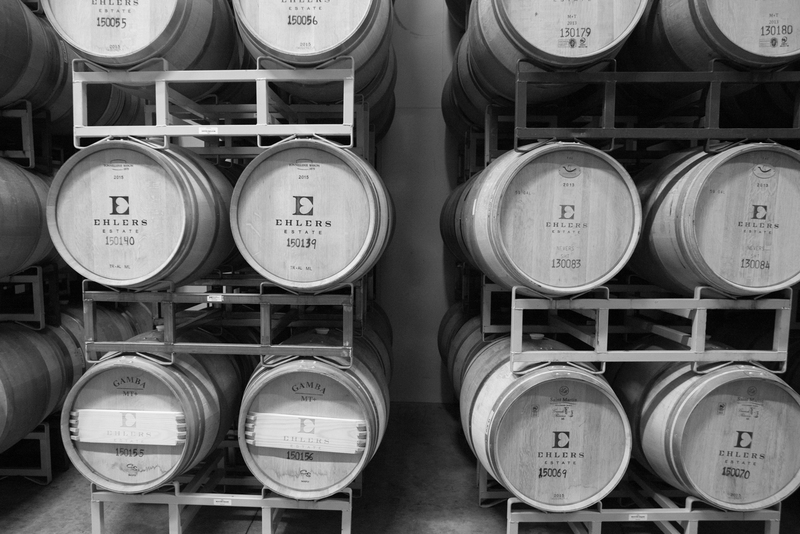 At Ehlers Estate, every wine seemed to be saying something. I recommend them, even with breakfast. 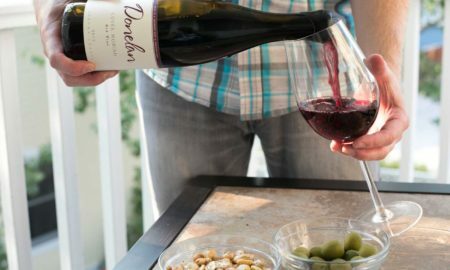 As you know, Opening a Bottle is all about reviewing wines by the bottle. However, when traveling a wine region — either on vacation or on a press trip — this usually only happens at dinner, if at all. 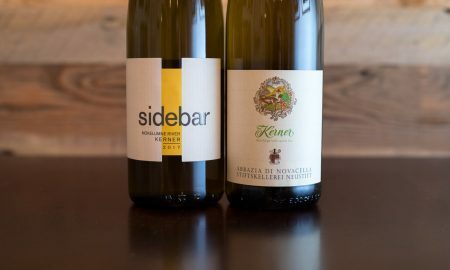 My approach to wine tastings, and evaluating wines by the 3-ounce sip (often without swallowing the wine), means that these reviews should be seen as an evaluation of the wine’s potential. That’s why they are formatted slightly differently than the full reviews you often see on this site. Notes are kept raw and are ripped straight from my notebook. *Barrel-tasting (or shall I say “stainless-steel tank tasting?” Doesn’t sound as romantic, but more factual). My visit to Ehlers Estate was part of an educational press trip. Learn more about my editorial policy.